Copyright © 2015 National Fire Protection Association (NFPA). All rights reserved. All materials on NFPA’s websites are the property of NFPA and may not be copied, reproduced, sold, or distributed without the express permission of the copyright holder. Liberal use of NFPA fact sheets and news releases is allowable with attribution. Please use the following: "Reproduced from NFPA's website, © NFPA (year)." NFPA does not grant permission for its content to be displayed on other Web sites. Submit your request online using this form. Please detail what material you would like to use, the purpose of using this material, and what the distribution of the final product will be. Once submitted you should receive a response within 2-4 weeks. If you have a particular deadline please indicate that. NFPA is the holder of numerous registered trademarks and service marks, including but not limited to, NFPA 70®, National Electrical Code®; International Electrical Code®; NEC®; NFPA 70E®; NFPA 72®; National Fire Alarm Code®; NFPA 101®, Life Safety Code®; Life Safety Code®; 101®; NFPA 5000®; Building and Construction Safety Code®; National Fire Codes®; NFC®; Sparky the Fire Dog®; the name and image of Sparky®; Learn Not to Burn®; Risk Watch ®; and NFPA Journal®. NFPA trademarks and service marks should only be used with the permission of NFPA or in accordance with the trademark law and, if used, must be acknowledged with both an ® designation and a credit statement. NFPA also holds additional trademarks and service marks to designate its goods and services. Please review the Linking Terms.Agreement. You may only link to NFPA’s website if you agree with all of its terms. Please e-mail your linking request and include the URL of the page from which you would establish the link or download the widget provided for this purpose. Except as otherwise provided herein, NFPA does not allow the use of its content on another website without its permission. NFPA does not allow its content to be "framed" by another site (you may not link to an NFPA web page inside HTML frames so that the content appears to be part of your site). A link to NFPA´s website may not be used in the context of an endorsement for any information on your website, any company products and/or services, or any situation that is in conflict with the NFPA mission. You must clearly identify your links to the NFPA Site; nothing in your linking should mislead or misinform users of the origin or ownership of the NFPA Site or its content (the NFPA Material). Your link may only be used to transport a user from your site directly to the NFPA Site. You may not change the appearance of any Trademark or Service Mark. You acknowledge NFPA’s intellectual property rights in the NFPA Site and the NFPA Material. You must not misrepresent NFPA’s relationship with you, your organization or your website; you must not imply that NFPA endorses, sponsors or is associated or affiliated with you, your site, your services or your products. You may link to, but not replicate or mirror any page of the NFPA Site or the NFPA Material. You may not cache or otherwise download the NFPA Site or NFPA Material. You must not represent NFPA Material as your own. You must not frame, create a border or browser around or alter NFPA Material in or the NFPA Site or add third party content. Your site must not contain content that is or could be construed as distasteful or offensive, obscene, libelous, defamatory, pornographic or inappropriate. Your site must not be used for illegal purposes and must not contain content that would violate any law. You acknowledge and agree that NPFA may disable the Widget at any time for its convenience. You agree that NFPA may revoke or rescind its consent to allow your linking at any time and that NFPA reserves the right to change, alter, amend, suspend or cancel its linking terms at any time without prior notice. You agree to be bound by any such change, alteration, amendment, suspension or cancellation upon the posting of same on the NFPA Site. You agree to remove or disable your linking at any time upon NFPA’s request. You must not use NFPA Material or link to the NFPA Site for commercial or fundraising purposes and you must not use NFPA Material in a manner that would diminish or otherwise damage NFPA’s goodwill. You acknowledge and agree that NFPA has made no representations or warranties of any kind with regard to the Widget, the NFPA Site or the NFPA Material. This agreement conveys no property, license, permission or interest of any kind in or to the use of any NFPA intellectual property. This page provides special information available only to members, including a place to download your member logos. As an NFPA member in good standing, you may download these logos to emphasize your pride in NFPA membership. Read important disclaimers concerning the use of NFPA codes, standards, recommended practices, and guides ("NFPA Documents"). NFPA reserves the right to accept or reject any advertisement submitted for NFPA´s publications and on its websites. However, NFPA does not attempt to investigate or verify claims, including claims of compliance with NFPA codes and standards, made in advertisements appearing in NFPA´s publications and on its websites. The appearance of advertising in NFPA´s publications and on its websites in no way implies endorsement or approval by NFPA of any advertising claims or of the advertiser, its product, or services. NFPA disclaims any liability whatsoever in connection with advertising appearing in NFPA´s publications and on its websites. Information about advertising with NFPA. Web content - NFPA strives to provide useful and timely information on this website to assist users in reading and understanding NFPA codes and standards. The official position of the NFPA and its Technical Committees concerning the meaning and intent of NFPA codes and standards, however, can only be found in Formal Interpretations processed through the responsible Technical Committee in accordance with NFPA rules. Unless expressly designated as an NFPA Formal Interpretation, therefore, any statements on this Web site concerning the meaning or intent of NFPA codes and standards reflect the personal opinion of NFPA Technical Staff or other contributors to this website. In addition, the information and opinion contained in this website is provided for informational purposes and is not intended to provide professional services or substitute for the review and advice, in any given circumstances, of an appropriate professional. Finally, NFPA makes every effort to provide timely and accurate information, but we make no claims, promises or guarantees about the accuracy, completeness, or adequacy of the information contained in this website. NFPA Journal® - The content of articles contained in NFPA Journal® solely reflect the personal opinions of the authors or contributors and doesn't necessarily represent the official position of NFPA, which, as to the meaning and intent of NFPA codes and standards, can only be obtained through NFPA's published procedures for requesting Formal Interpretations. Contents must not be reprinted without the written permission of NFPA. NFPA Journal® is a registered trademark of NFPA. From time to time, third parties may link to NFPA Material or NFPA websites or may carry RSS Content. NFPA does not guarantee, approve,of or endorse any third parties’ information, products or services offered or made available on these linked sites or on which the RSS Content appears. No user of these sites shall imply or infer any endorsement, sponsorship, association or affiliation of or with NFPA as a result of such linking or the carrying of the RSS Content. NFPA does not guarantee the truthfulness, accuracy, or validity of any comments posted to its social media outlets (blogs, social networks, message boards/forums, etc.). Users may not post any content that is obscene, defamatory, profane, libelous, threatening, harassing, abusive, hateful or embarrassing to any person or entity. NFPA reserves the right to delete or edit any comments that it considers inappropriate or unacceptable. By submitting a comment, users expressly grant NFPA a worldwide, non-exclusive, royalty-free, irrevocable license to publish, modify, reproduce, display, distribute, and use such content for any purpose without further notice or consent. The NFPA® disclaims liability for any personal injury, property or other damages of any nature whatsoever, whether special, indirect, consequential or compensatory, directly or indirectly resulting from the use of, or reliance on Quick CompareTM when used with NFPA codes, standards, recommended practices, and guides (“NFPA Standards”). The NFPA also makes no guaranty or warranty as to the accuracy or completeness of any information received when Quick CompareTM has been used with NFPA Standards. In making Quick CompareTM available, NFPA is not undertaking to render professional or other services for or on behalf of any person or entity. Nor is the NFPA undertaking to perform any duty owed by any person or entity to someone else. Anyone using Quick CompareTM with NFPA Standards should rely on his or her own independent judgment or, as appropriate, seek the advice of a competent professional in determining the exercise of reasonable care in any given circumstance. The permit generated by any permit tool program is based on information provided by the user. The NFPA does not review, verify or approve the information provided by the user or the resulting permit(s). The NFPA disclaims liability for any personal injury, property or other damage(s) of any nature whatsoever, whether direct, special, indirect, consequential or compensatory, directly or indirectly resulting from the use of this tool or the resulting permit(s). In making any such permitting tool available, the NFPA is not undertaking to render professional or other services for or on behalf of any person or entity. Nor is the NFPA undertaking to perform any duty owed by any person or entity to someone else. Anyone using such permitting tool should rely on his or her own independent judgment or, as appropriate, seek the advice of a competent professional in determining the exercise of reasonable care in any given circumstance. Sparky costumes may be used for parades and for appearances at schools, fairs, youth group meetings, television appearances, sporting events, community safety events and other functions promoting fire safety. Inappropriate uses of Sparky include political events, union events, job fairs, or any situation that might compromise the integrity of Sparky, give the appearance of impropriety or negatively reflects the NFPA and its fire safety messaging. We welcome your participation in the NFPA Xchange™, an online community sponsored by the National Fire Protection Association (“NFPA”) that is working together to share ideas and propose solutions. We want all of our members and visitors to have the best possible experience; and your respectful and cooperative interactions will help us achieve that goal. Thank you for using your best judgment as you participate, for following our guidelines, and for reporting abuse and other inappropriate content if it is posted. We hope that your participation in the NFPA Xchange will help to improve the development and quality of fire prevention codes and standards. If you do not agree to these Guidelines, you may not use the NFPA Xchange. The NFPA Xchange will be supervised by moderators and NFPA staff members that will review content, help our users get the information they need, and address issues that members bring to their attention. These moderators may delete or edit content that is inappropriate, misleading, or doesn’t follow our guidelines. NFPA's Technical Questions Service is meant to provide information on and assistance in accessing and understanding NFPA codes and standards. Any opinion expressed, therefore, is the personal opinion of the responder and does not necessarily represent the official position of the NFPA or its Technical Committees. In addition, responses provided are not intended, nor should they be relied upon, to provide professional consultation or services. As a reminder, the Technical Questions Service should not be used for questions involved in litigation. Answers provided through the Technical Questions Service do not represent the position of NFPA. Opinions expressed on the NFPA Xchange are the opinions of the individuals who post them and are not the opinions of the NFPA. Please note that the NFPA Xchange does not take the place of any existing or formal channel of or process for communication with NFPA. Requests for Advisory or Formal Interpretations, for example, should not be posted on the NFPA Xchange. The NFPA Xchange is also not the appropriate communication channel for proposed changes to NFPA codes and standards or for customer service requests. From time to time, the NFPA Xchange may contain information from or portions of NFPA codes and standards. You should always refer to the complete document including any TIA’s and errata on the docinfo pages of nfpa.org. While the NFPA administers the process and establishes the rules for the development of NFPA documents, NFPA does not independently test, evaluate or verify the accuracy of any information or the soundness of any judgments contained in NFPA documents. The NFPA disclaims liability for any personal injury, property or other damages of any nature whatsoever, whether special, indirect, consequential or compensatory, directly or indirectly resulting from the publication, use of or reliance on NFPA documents. In issuing and making documents or portions thereof available, NFPA is not undertaking to render professional or other services for or on behalf of any person or entity nor is NFPA undertaking to perform any duty owned by any person or entity to someone else. Failure to follow these Guidelines may result in our modifying or excluding your content or terminating your account in our sole discretion. Enjoy the community. Ask questions, share knowledge, and reach out to other people to exchange ideas respectfully. We ask that you to consider the rest of the community when you write posts or upload images. We want the NFPA Xchange to be a professional environment for constructive dialogue. The community benefits from different points of view so please be polite and respectful even when you disagree. If you determine you made a mistake or an error in your postings, correct it. Only upload and post content that is appropriate and belongs to you. If you upload an avatar or profile image, only use images that you have created or have permission to use. Remember, you are personally responsible for the content you post. Posting content that doesn’t belong to you puts you at risk of liability. Be yourself. The NFPA Xchange is intended as a professional network so you need to identify yourself. Don’t impersonate others. Using online banking credentials to register. It’s important to use different passwords for online banking and social media sites. Please use a new password for this site. Being inappropriate. Don’t post inappropriate content or make inappropriate statements. Think about what you want out there before you post, and filter your content responsibly. Being off-topic, boring, or making angry comments. Harassing, abusing, or intimidating others simply isn’t permitted. We may also remove comments not related to the subject of the conversation, or whose sole purpose is to vent frustration. If you have an idea for a subject, would like to provide site feedback, or want to communicate directly with us, please send us a message. Providing commercial content or spam. Comments focused purely on selling a product or service, or comments posted for the purpose of driving traffic to a particular website for personal, political, or monetary gain, are prohibited. Also, please don’t use your account to host web graphics. Your account will be terminated if you use icons, smilies, buddy icons, forum avatars, badges, and other non-photographic elements from external websites. Making personal attacks. If you disagree with something, we'd like to hear from you, but always refrain from personal attacks and being disrespectful of others. Malicious intent, and any participation that is not in the spirit of civil conversation, is not allowed. Posting illegal content. You are required to follow applicable laws, rules and regulations that govern use of copyrights, trademarks, trade secrets, etc. Do not post images or other content that doesn’t belong to you. Using offensive language. Refrain from using profanity and provocative language. Any hateful, racially or ethnically offensive or derogatory content, threats, and obscene or sexually explicit language are prohibited. Using personally-identifiable, private, or confidential information. Be mindful of keeping private information private. Whether it is information about you or someone else, please do not provide any specific financial or health account details or other personal information, including information about any accounts you may have at NFPA. You shouldn’t post information about threatened or actual lawsuits by you or others against a third party or entity. If you have immediate service needs, please contact your bank representative or customer service. Please note that we cannot accept comments from individuals under the age of 13. Comments in HTML format will not be accepted. Our point system and user status is designed to reward users for making positive contributions to the community. Please don’t take actions solely for the purpose of amassing more points and improving your status, especially if those actions won’t enhance the community experience. NFPA reserves the right to change these guidelines at any time at its sole discretion. These are the particulars of the NFPA Xchange User Guidelines in greater detail. The NFPA Xchange is open to all points of view on fire, electrical and related hazards as well as related topics. We want to hear from you, and we are committed to maintaining a comfortable environment for all visitors. Please interact with other users respectfully, as you would in any public or professional arena. If you disagree with the statements of another user, it is acceptable to engage in polite, mature debate. Name-calling, personal attacks, harassment, and other aggressive posts or behavior are not allowed and are grounds for immediate removal of a post, or grounds for permanent removal from NFPA Xchange. In using the NFPA Xchange, you agree to comply with state and federal antitrust laws and the NFPA Antitrust Policy, which is available here. You are prohibited from engaging in any conduct, conversations or agreements that would constitute an unreasonable restraint of trade or be otherwise illegal under antitrust laws. Specifically, and without limitation, there should be no discussions, exchange of information, concerted actions or agreements concerning individual prices, rates, coverages, margins or any other cost data, market practices, claims settlement practices or any other competitive aspect of an individual company’s operations. 1. Illegal or unethical activities and content directed at NFPA Xchange or its users are prohibited. You agree not to engage in, promote, or advocate any illegal activity or fraudulent schemes of any kind including, but not limited to, money laundering, tax evasion, securities fraud, and pyramid or multi-level marketing schemes - through your posts or other use of the NFPA Xchange. You also agree not to post links to other websites that engage in such activities. Do not submit content that you know is false, inaccurate, libelous, or otherwise misleading in any way. Do not submit content that contains any computer viruses, worms, or other potentially damaging computer programs or files. Do not post or transmit material you do not have the right to post or transmit under law (such as copyright, trade secret, or securities) or due to your personal contractual or fiduciary relationships. Do not offer, sell, or buy any security through the NFPA Xchange. You may not use the NFPA Xchange in any manner that could damage, disable, overburden, or impair NFPA’s servers or networks, or interfere with any other user's use and enjoyment of the NFPA Xchange. You may not attempt to gain unauthorized access to any services, usernames, computer systems, or networks, through hacking, password mining, or any other means. We may take any legal and technical remedies necessary to prevent the violation of this provision. 2. Profane, obscene, racist, sexist, intolerant, inappropriate, disruptive, or unrelated content is prohibited. Indecent, profane, sexually explicit, obscene, or pornographic material of any kind - including masked profanity where symbols, initials, intentional misspellings, or other characters are used to suggest profane language - is strictly prohibited. Threats, personal attacks, abusive, defamatory, derogatory, or inflammatory language, or stalking or harassment of any individual, entity, or organization is strictly prohibited. You agree not to engage in any spamming or excessive posting, or submit content that is disruptive, off-topic, deliberately intended to have a negative impact on the NFPA Xchange or its users, or otherwise interfere with the ability of others to enjoy or comfortably use the NFPA Xchange. 3. Keep your and other people’s information private, and other important rules. Do not post any personally-identifiable information about yourself or another person, including addresses, email addresses, contact information, phone numbers, account numbers, Social Security numbers, Taxpayer Identification Numbers, lawsuits brought by you or third parties against another individual or entity, or health information, and use care in posting your personal or identifying information. For customer service issues related to NFPA products and services, please go to www.nfpa.org/technical-support-request. 4. Solicitations and promotions and other commercial use are not permitted. You agree not to post or make available at the NFPA Xchange site any content or third-party website that harms, or intends to harm, the flow of information and/or participation in NFPA Xchange. You agree not to post unsolicited or unauthorized advertising, promotional materials, junk mail, spam, chain letters, or pyramid or multi-level marketing schemes, and you further agree not to use automated means, including spiders, robots, crawlers, data-mining tools, or other means to download data from the NFPA Xchange. 5. Copyright and intellectual property violations are not permitted. Infringement of any party's copyright, patent, trademark, trade secret, intellectual property or other proprietary rights, or right of publicity or privacy is strictly prohibited and is the sole responsibility of the user. By submitting any content to the NFPA Xchange, you warrant and represent that you are the copyright owner of the content or that the copyright owner of the content has granted you permission to use such content consistent with the manner and purpose of your use. Using the NFPA Xchange to distribute unauthorized copies of copyrighted material, including photos, artwork, text, recordings, designs, computer programs, or derivative works of such programs is strictly prohibited and subject to removal. In the event that you have a dispute with one or more other users of the NFPA Xchange, you release NFPA (and its officers, directors, agents, subsidiaries, joint ventures and employees) from claims, demands and damages (actual and consequential) of every kind and nature, known and unknown, suspected and unsuspected, disclosed and undisclosed, arising out of or in any way connected with such disputes. YOUR USE OF AND BROWSING OF THIS SITE ARE AT YOUR OWN RISK. NFPA MAKES NO WARRANTIES OR REPRESENTATIONS REGARDING THE INFORMATION OR CONTENT CONTAINED ON THIS WEBSITE, AND SPECIFICALLY DISCLAIMS ANY WARRANTY AS TO NONINFRINGEMENT, OR THE SUITABILITY, RELIABILITY, TIMELINESS OR ACCURACY OF THE INFORMATION OR CONTENT CONTAINED ON THIS SITE FOR ANY PURPOSE. NFPA DOES NOT WARRANT THAT THE FUNCTIONALITIES CONTAINED IN THE CONTENT WILL BE UNINTERRUPTED OR ERROR-FREE, THAT DEFECTS WILL BE CORRECTED, OR THAT THIS SITE OR THE SERVER THAT MAKES SUCH CONTENT AVAILABLE ARE FREE OF VIRUSES OR OTHER HARMFUL COMPONENTS. NFPA DOES NOT WARRANT OR MAKE ANY REPRESENTATIONS REGARDING THE USE OR THE RESULTS OF THE USE OF THE CONTENTS IN THIS SITE IN TERMS OF THEIR CORRECTNESS, ACCURACY, RELIABILITY, OR OTHERWISE. UNDER NO CIRCUMSTANCES SHALL NFPA BE LIABLE FOR ANY DAMAGES THAT RESULT FROM THE USE OF OR INABILITY TO USE THIS SITE, INCLUDING BUT NOT LIMITED TO RELIANCE BY A USER ON ANY INFORMATION OR CONTENT OBTAINED FROM THIS SITE THAT RESULT FROM MISTAKES, OMISSIONS, INTERRUPTIONS, DELETION OF FILES OR EMAIL, ERRORS, DEFECTS, VIRUSES, DELAYS IN OPERATION OR TRANSMISSION, OR ANY FAILURE OF PERFORMANCE, WHETHER OR NOT RESULTING FROM ACTS OF GOD, COMMUNICATIONS FAILURE, THEFT, DESTRUCTION, UNAUTHORIZED ACCESS TO NFPA’S RECORDS, PROGRAMS, OR SERVICES, OR OTHERWISE.YOU HEREBY ACKNOWLEDGE THAT THIS DISCLAIMER AND LIMITATION OF LIABILITY SHALL APPLY TO ALL CONTENT AND SERVICES AVAILABLE THROUGH THIS SITE. IN NO EVENT SHALL NFPA BE LIABLE FOR ANY INDIRECT, CONSEQUENTIAL, SPECIAL, INCIDENTAL OR PUNITIVE DAMAGES ARISING OUT OF YOUR ACCESS TO, OR USE OF, THIS SITE OR THE CONTENT THEREON, WHETHER IN A CONTRACT ACTION OR BASED ON NEGLIGENCE, OR OTHER TORT ACTION, OR ANY OTHER CLAIM WHATSOEVER, EVEN IF NFPA OR A NFPA REPRESENTATIVE HAS BEEN ADVISED OF THE POSSIBILITY OF SUCH DAMAGES. TO THE EXTENT APPLICABLE LAW DOES NOT ALLOW THE LIMITATION OR EXCLUSION OF LIABILITY OR INCIDENTAL OR CONSEQUENTIAL DAMAGES, THE ABOVE LIMITATION OR EXCLUSION MAY NOT APPLY TO YOU. You agree to defend, indemnify and hold NFPA, its affiliates, successors, directors, officers, employees, service providers, and agents from any and all liabilities, costs, and expenses, including reasonable attorneys’ fees, related to any violation of these terms by you, or in connection with the use of this Site or the placement or transmission of any message or information on this Site by you. If you registered as a member of the NFPA Xchange, you are entirely responsible for any and all activities that occur under your account and agree to indemnify, defend, and hold harmless the above-mentioned parties for any liability or expense arising from such use or misuse. You agree to immediately notify us of any unauthorized use of your account or any other breach of security known to you. Identify the specific URLs or other unique identifying information of material that NFPA has removed or to which NFPA has disabled access. Provide your name, address, telephone number, email address, and a statement that you consent to the jurisdiction of Federal District Court for the judicial district in which your address is located (or the Northern District of California if your address is outside of the United States), and that you will accept service of process from the person who provided notification under subsection (c)(1)(C) or an agent of such person. These Guidelines, and your rights and obligations hereunder, shall be governed by and construed in accordance with the laws of the Commonwealth of Massachusetts, exclusive of such state’s choice of law rules, and in accordance with the DMCA where applicable. Except where otherwise indicated, you hereby consent to the jurisdiction of the federal and state courts in the Commonwealth of Massachusetts in connection with any suit, action or proceeding relating to these Guidelines. NFPA does not endorse comments or postings made by its employees or by contractors, consultants, and other individuals working for or with NFPA and such content is not intended to be nor should it be relied on to provide professional consultation services. No such individual is authorized to speak on behalf of NFPA. NFPA does not validate assertions or statements made by individuals in their postings or comments. All statements and viewpoints expressed on the NFPA Xchange are strictly those of the commenter alone, and do not constitute an official position of NFPA.  Please remember that if you are a NFPA employee or if you’re working with NFPA, you must disclose your status in your profile. The NFPA Xchange will then indicate that you are working at NFPA next to your comments and questions to protect the integrity of the site. Whether you are at home or in the office, working for NFPA is a material fact that may influence content and community members have a right to know. Thank you for helping maintain the integrity of our community by disclosing that relationship.